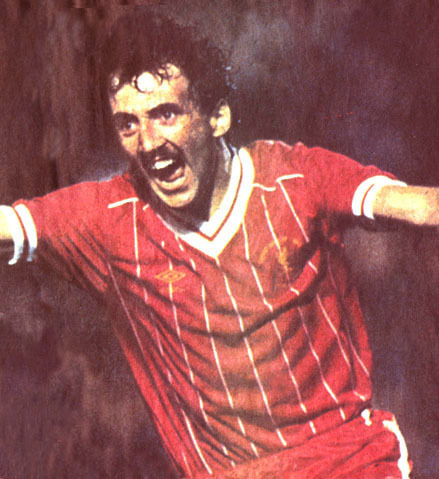 Alan Kennedy - European Cup hero - LFChistory - Stats galore for Liverpool FC! 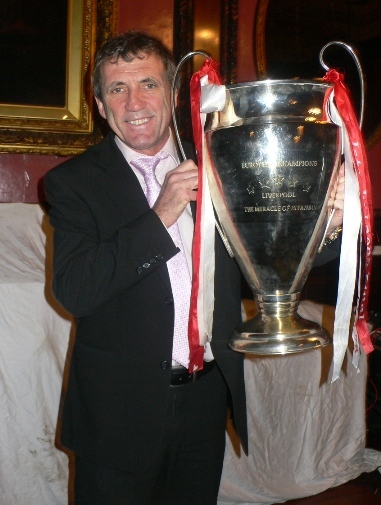 Alan Kennedy not only scored the winning goal in one European Cup final, but was destined to clinch Liverpool's success in two! A European legend for Liverpool if there ever was one and a winner of five League titles. Not bad, is it? It was an honour for LFChistory to interview this tremendous ambassador of Liverpool FC. I always wanted to be a professional footballer. I remember being at school and being one of many kids that were good players at the time. We had different formations. We had five up front rather than two up front. 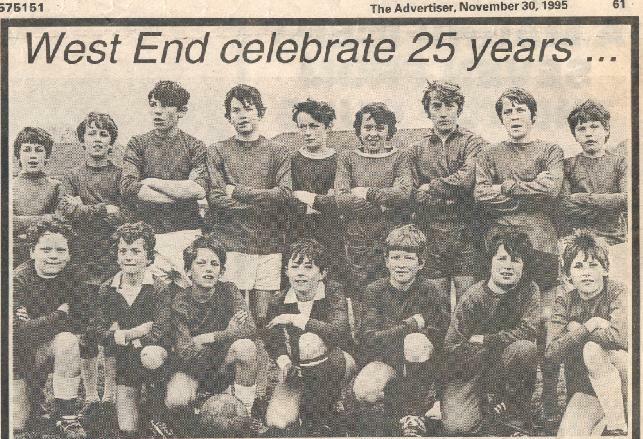 I was a skinny little winger on the left hand side. I used to score goals as well. Not tap-ins, mine were always from 20-30 yards. I suppose was lucky because my brother played professional football for Newcastle. I learnt a lot in my early days from watching my brother play. He was physically stronger, bigger and I was playing with players who were bigger and stronger than me. Had Liverpool followed your progress for quite some time? Liverpool played Newcastle in the 1974 FA Cup final. They signed Terry McDermott a little bit later. 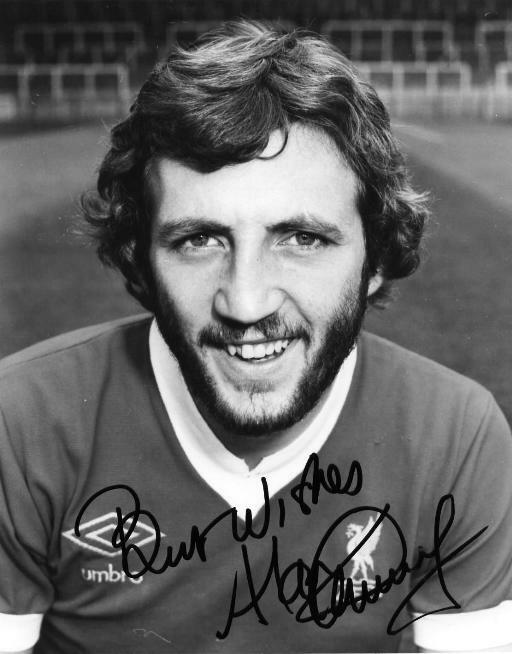 I thought they would have signed me when they signed Terry McDermott. If they had a problem with the left-back they should have come in for me. They looked at the left-back position. Joey Jones was there, so was Emlyn Hughes so they had cover. For only 2-3 months they were looking at various options left-back. Joey didn‘t play in the ´78 European Cup final, Alan Hansen had to play full-back and Alan didn‘t have a particularly good game. A bit nervous. The writing is on the wall for Joey Jones. So I don‘t think they were after me for too long. Geoff Twentyman, the chief scout, came to watch me at Hull City and decided they wanted to pay that money for me and ended up paying a little bit over the top. You were an accomplished footballer when you arrived at Liverpool. England B-international and now the most expensive full-back in England. Yes, I was an England B international. The early stages of my career were blighted by injury. I had some injuries to my left knee and I was out for quite a long time and I might have made the full England squad at that time, but it wasn‘t to be. I played for the England u-23s as well. It was a lot of money and I didn‘t get any of it [laughs]. It was all done professionally, let‘s say, in those days. Bob broke the British transfer record for a full-back. I wasn‘t even bothered about the money, but the fact I was joining the European champions, that was the main thing. Bob Paisley was quite pleased with his new signing who he captured two days before the European deadline of 15th August 1978: "He will be a first-class capture. He is fast, likes to to move up to attack and should fit into our side very quickly. There would be seven men challenging for the back four positions - Hughes, Thompson, Hansen, Neal, Jones, Kennedy and Irwin. I wanted Kennedy because I wanted more competition for places." The European champions trusted the doctor. I have a very slow heartbeat. It was down in the late 30s, early 40s, it‘s not unique but it‘s very low. It means you‘re fit and that‘s what he actually said so I was quite pleased about that. He just said basically: 'Fit as a fiddle!, Mr. Paisley. He can run forever, no problem.' I was with my girlfriend at the time. It was dead funny. Bob Paisley made a sweeping statement. He said: 'If this lad doesn‘t play for England I‘ll throw myself in the Mersey.... and then he said to a couple of the reporters.. 'when the tide is out.' It was a nice way of putting things. Bob felt as though I would play for England a long time. Unfortunately a lad called Kenny Samson had beaten me to the England left-back. He never got injured and unfortunately I didn‘t get that many caps. There were intimidating characters at Liverpool who welcomed you to the club. I was just the new kid on the block coming from Newcastle. I hadn‘t learnt too much about football. That was the problem. Football was based on short game, short passing, keeping the ball and my game was based on the long ball. Coming to Liverpool was very, very difficult. You say intimidating characters and they were. Ray Kennedy, Graeme Souness and Jimmy Case. These players were way above me, internationals. I had to compete with them and I learnt very quickly. If I didn‘t learn quickly I would be out of the game and I wouldn‘t end up being in Liverpool‘s first-team. My first few games for Liverpool were just 100 mile a hour stuff like. You had to concentrate all the time. Ray Clemence used to roll the ball up, he hardly ever kicked the ball. He used to roll it to the full-backs so you were always involved. I was lucky enough to play alongside at the time, Phil Thompson and Alan Hansen and of course, Emlyn Hughes, who in some ways was a left-back and a left centre-back as well. Didn't you meet Bill Shankly before your debut? Bill Shankly in my first game was rushing around the corridors of Anfield. He looked at me: ´Hi ya, son. How you‘re doing?´ I was like... That is the great Bill Shankly... ´I am alright, Mr. Shankly. I am a little bit nervous.´ He went into his pocket and pulled out... and I don‘t know what he had given me, but he gave me a couple of tablets. I thought, ´What has he given me here?´, but it‘s Mr. Shankly and whatever he says is right. All of a sudden my mind was going back to the World Cup of ´78 where there was a Scottish player who had taken some kind of drug, Willie Johnston, and so in the end... He might have given me drugs like. I better have a little look. When I brought them out there were two sweets there and that's all they were, just two sweets. I thought if Mr. Shankly had given me them they must do me good so I ate them the sweets. I felt great now. I didn't really. It's like somebody telling you to eat a steak before a game, it makes you feel good. It doesn't make you feel good. It makes you feel terrible. It just made me more relaxed. Judging from the following quote from you it was a different culture in those days: "Booze was a way of dealing with the time you weren‘t at training. I think the club were happier I was drinking rather than risking getting injured doing something else. As long as we came in the next day, Bob was happy. We were being treated as men at Liverpool whereas at other clubs we heard that players were treated like kids. How we became so successful, the amount we drank, I just don‘t know. We had drinking games, swearing games, anything we could do. Sometimes it can get a bit boring when you‘re in a pub for five or six hours and sometimes longer. What else could we do, apart from drink?" The culture in those days was to have a drink. We still like a drink. I can‘t imagine the players of today going up to their colleagues and saying: 'Shall we have a coke? Shall we have a glass of water?' When you say pint, it means we‘re going to have a pint and enjoy ourselves. Yes, we all liked the beer and we all socialized together and that was a good thing about what Liverpool were all about. We went out after a game and used to have a couple of beers, but that was the normal. Everybody did that. Athletes today are checked regular. The English and the British culture in those days was to have a drink. When the players from European countries came in they didn‘t do it. We learnt from them and that is obviously the right way now. Generally speaking it didn‘t do us any harm and if it didn‘t do us any harm we continued to do it. The thing about it was we didn‘t know anything about diet. Diet today is much more structured. Most of the players had a steak before a game. You can‘t digest it, that‘s the problem. You should have something much lighter whether it be pasta, chicken or something like that. We didn‘t know any better. That‘s the thing. That‘s what they built it on. Liverpool used to have a red book they used to look at each day. 'Right, we did this last year, we will do it again.' Because it was success and it was built on success. 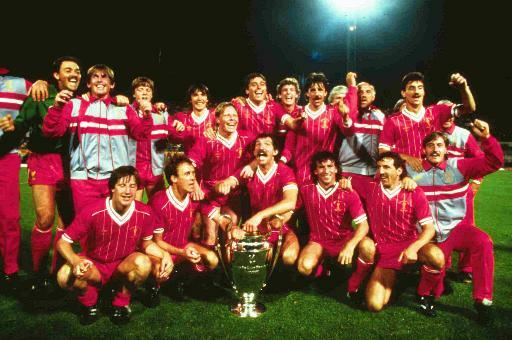 You must have talked about it a million times, but we have to talk about the 1984 European Cup final. We had a pre-season game and we'd gone to penalties. We weren't very good. In fact we were pathetic in taking them. Me, Alan Hansen and another player missed. [7th August 1983 vs Feyenoord 3-3]. Joe Fagan wasn't too concerned about penalty shoot-outs because he thought we would win it before it got to a penalty shoot-out. Phil scored the first goal. We thought we'll do ok. We're controlling the game and then they scored through Pruzzo just before the half-time whistle. You get in at half-time and you think to yourself, ´It's one a piece. It might go to penalties, let's see what happens in the next 45 minutes.´ Joe said: 'We need another goal. Let's push on.' We didn't really push on and they had one chance and we had a chance. The game was very stretched and wasn't particularly a good game to watch althought it was very tight. 90 minutes gone, extra-time. But you're always thinking, ´This could be penalties. This now has a chance of being a penalty shoot-out.´ The circumstances were like that after 120 minutes and Joe was walking on the pitch. In his mind I don't think he particularly knew which five to pick. To this day I've got no idea why he gave me the opportunity to take a penalty. He may have panicked. He may have looked at the rest of the team and thought, ´Why not Ronnie Whelan, Michael Robinson´ or whoever was still on the pitch at the time? And then to say: ´Alan, how are you feeling?´ And I says: ´I'm fine´, because I hadn't been picked. He says: ´Ok´ and then he walks off. Then he pointed to Graeme Souness and Ian Rush. Phil Neal was always going to take one. But the two others, Steve Nicol and me thought no chance. He picked Steve Nicol, the youngest man of the team and all of a sudden... I didn't realise he had picked me at the time. It suddenly sinks in and I panicked. I was panicking about the situation. I didn't want it to happen. Graziani and Conti missed penalties. Steve Nicol missed the first one. That seemed to take the pressure off everybody because everybody thought.. ´you've got to score.´ But I didn't feel that as I was going forward. Grobbelaar had put Conti off, but we hadn't seen that. It's funny how you can see that on TV, but we didn't actually see it the way it was being panned out. All I could see were photographers behind the goal. And all of them shooting and taking pictures. I wasn't looking forward to it. I just didn't want to be there. I wanted to be somewhere else, totally somewhere away from this situation. I felt nervous, I felt poor, I felt terrible. I hadn't had a bad game in the 120 minutes, but in that situation you have to stand up and be counted. They were all looking at me, ´He's going to miss.´ No player had any confidence in me. In the end they were looking at themselves and thinking to themselves, ´He's bound to miss this one. Who's going to take the next one?´ That didn't obviously give me the confidence I needed when I am walking up there. You put the ball down... I thought of my family, my girlfriend at the time... I just felt I can't let these people down... We were so bad the week before we had to abandon the practice. The kids beat us in the penalty shoot-out. They say you should be clear, be focused and never change your mind. I didn't have any of those three in my mind. I opened up my body at the end... I didn't know why I did it... Tancredi the goalkeeper went to his left-hand side and I got the ball into the right hand side. You can't imagine the relief I had at that particular moment. I just wanted to be with all my family, all my friends, all the players and just to say a big thank you. What a relief it was. And I saw all the players afterwards and they were telling me, ´We can't believe you scored that goal.´ I says, ´I know!´´I know you don't believe it, but I did mean to do it, opened my body in the end and it went in.´ We had a great celebration afterwards, again it revolved around drink. We've got to bed around half past five. We had a fantastic party. 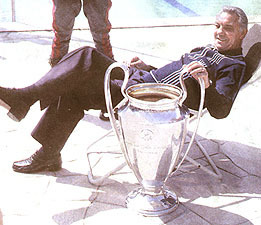 Then they said, ´You've got to have pictures taken the next morning.´ I can remember Joe Fagan sitting there on a deck chair with the Euopean Cup. We had a few pictures taken and then we came back and the amount of people both Liverpudlians and Evertonians congratulating us on winning the European Cup, it was just amazing. 18 months later after you won the European Cup for Liverpool you were out of the team and scored an own goal with your last kick for the club. Yeah, against Oxford United. It's funny this... I scored on my debut. Liverpool played a pre-season friendly in Scotland in Jock Stein‘s testimonial and I scored in that. So it‘s quite ironic I scored in my last game as well. It was a hard game. Oxford United in those days had some good players. In the end the ball has come down the middle and John Aldridge was chasing me. I put the ball back. Instead of putting it wide of the goal, I put it towards the middle of the goal. Well, Bruce thought I was putting the ball wide of the goal so he‘s gone way wide and the ball goes in the back of the net. Two a piece, a minute to go, no chance of recovery. Kenny Dalglish is the manager. Not happy, comes into the dressing room. Has a go at me, he has a go at Paul Walsh for whatever reason. That was my last ever game because the next game we played was Everton when Liverpool went 3-0 and got pulled back to 3-2. I was 31. I knew I had to go. I knew it was going to be impossible. The youngster will always win against the older player and that was the thing. It‘s never nice when it happens when somebody says to you: ´You‘re not good enough.´ Jim Beglin was coming in to take my position and in the end Jim unfortunately broke his leg about 18 months later. If I'd stayed at the club I might have still had a chance to get back into the team. I ended up going to Sunderland and your career goes downhill after that I‘m afraid. I should have signed for Newcastle, but I eventually went to Sunderland in September ´85. I signed for a guy called Lawrie McMenemy who was the Southampton manager who came to Sunderland and he was going to be the Messiah. He was going to resurrect Sunderland to what they were years ago, but it didn‘t work out. It was a bad move for me. Hartlepool, Husqvarna (Sweden), Beerschot (Belgium), Club 1903 (Denmark), Northwich Victoria, Grantham, Wigan, Colne Dynamos, Wrexham, Morecambe, Netherfield, Radcliffe Borough, Barrow... You went around the world after Hartlepool to Belgium, Sweden and Denmark. I went on a weeks‘ trial. Two weeks here, three weeks there because I was a bit desperate to play in any competition in any country. But it didn‘t happen. Then I went into non-league football for about 6½ years. I loved playing. In the end I played for 8-9 different clubs and then finished when I was 42½. I was quite old playing wise. I still play for the Liverpool veterans as well, Liverpool old stars. What were your main strengths as a player? Pace, attitude. I would never give up and always give a 100%. I really thought that coming to Liverpool really made me feel I could play football because if you could get into that team you could get into any team. They were so strong and so good and I felt comfortable in the team. There were quite a few players who tried to take my position. I felt I was good enough to beat all of them.